Unable to acquire license from <License Server Name>. Please contact your system administrator or open event viewer for more detail. The direct cause for the error above is the failure of Citrix License Server or crash of Citrix Licensing service. To resolve the issue, recover the Citrix License Server or Citrix Licensing service by restarting the server or restart the service. Some issues that may impede the proper operation of Citrix Licensing service, such as corrupt concurrent_state.xml and/or the activation_state.xml files, causing the Citrix Licensing Service, lmadmin.exe, to crash repetitively on startup. If after fixing and recovering the Citrix License Server, yet individual member servers still encountering “500 license acquisition” error when users attempt to log on, Citrix stated that it may be caused by the fact that the member server has already acquired a license before the license server failed, and it cannot properly verify if the license is accurate. To resolve the issue, try one of the following methods. Method 1: Restart the server. Method 2: Only when restart is not possible. Launch the Citrix Computer Policy in the Citrix AppCenter. Browse to “Licensing | License server hostname”. Add a false server name in the Value field. From the command window, run gpupdate /force. 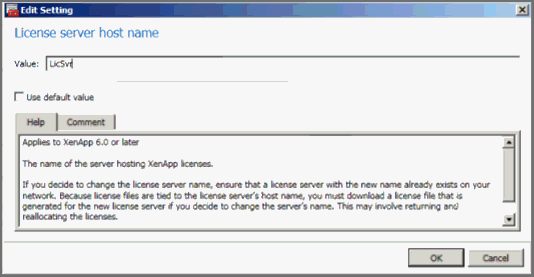 Repeat Steps 1 to 5 but in Step 3, add the correct License Server name in the Value field.